Increase your knowledge of Facts about the Dolphins with some brief, but essential information & fast facts about this popular animal. Important facts, data and info containing details of the description, name origins and habitat of Dolphins. Details of the size, height and weight. Where they live and what they eat! Discover what their lives are like! A mixture of Factual information together with cool, fun, strange, amazing, weird and even funny facts about Dolphins. A detailed Fact Sheet covering a whole host of topics and Dolphins facts! Have Fun! The Dolphin is described a marine cetacean mammal of the order cetacea. The term cetacean includes all 76 known species of whales, dolphins, and porpoises. Those more than 4 to 5 m (13 to 16 ft) long are generally referred to as whales, whereas smaller species are known as dolphins or porpoises. 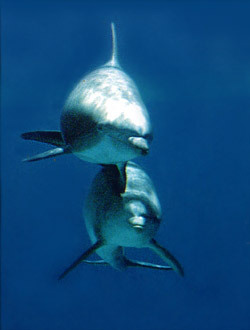 Dolphins as the bottle-nosed dolphin, of the family Delphinidae, similar to the whales but generally smaller and having a distinct beaklike snout, called a rostrum, with conical shaped teeth. 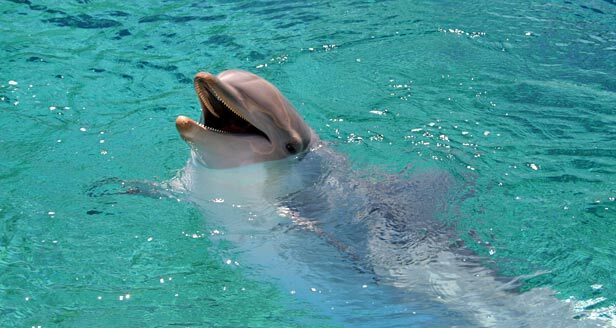 Dolphins rank among the most intelligent marine mammals. Facts about where Dolphins live and what they eat! Dolphins are carnivores and their diets vary according to their habitat but commonly consist of either fish or squid, octopus, cuttlefish, crabs, shrimps and lobsters. Killer whales are the largest species of dolphin and can grow to 9.8 m and weigh up to 9,000-to-10,000 kg. 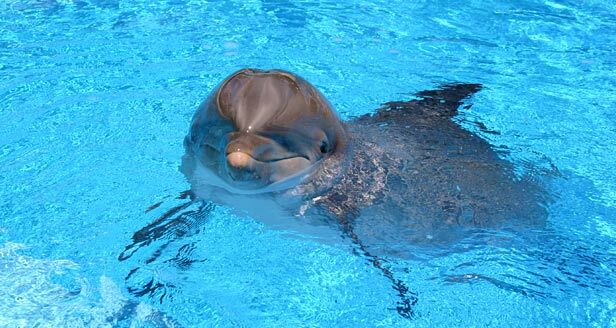 They have their own signature whistle which distinguishes them from other dolphins! Some fascinating information & facts about Dolphins - find our what a Pod, a Rostrum, a Melon, Blubber, Flukes and Blowholes are! What does that word mean?? Some fascinating information & facts about the words that are often used to describe animals! Read the facts and information and decide how Dolphins should be described! Some fascinating information & facts about the words that are often used to describe animals! 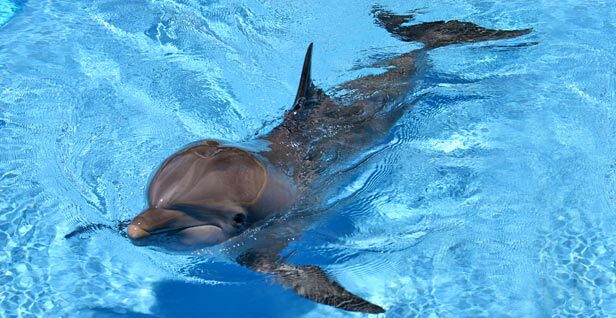 Read the information and decide how a Dolphins should be described! Wild life experts consider that the Chinese River dolphin and Indus River dolphin are endangered under the Endangered Species Act. An endangered species is one that is in danger of extinction throughout all or a significant portion of its range. The Causes of a species of animal becoming endangered are due to Habitat Destruction such as the rainforest, introduction of exotic species, disease, water pollution, global warming and over exploitation of natural resources. As people are made aware of the facts about endangered species, initiatives such as Recycling are increasing in popularity. Endangered Species Organizations are dedicated to saving and preserving the world's most endangered wildlife. Interesting facts about Endangered Species. We hope that the selection of Facts about Dolphins has provided you with the information you have been searching for! A mixture of Factual information together with cool, fun, strange, amazing, weird and even funny facts about this amazing animal. A detailed Fact Sheet covering a whole host of topics information and facts about Dolphins. We believe that the concise and fun facts provided are full of interesting information about this popular animal! The internet is a great resource for information - you don't even need to go to the library to get fast facts about Dolphins! Great for homework, or projects, an ideal Educational Resource for facts about Dolphins!